The easy-to-use gel that’s as effective as liquids. Crack & Crevice application cleans up visible infestation symptoms quickly, discreetly. 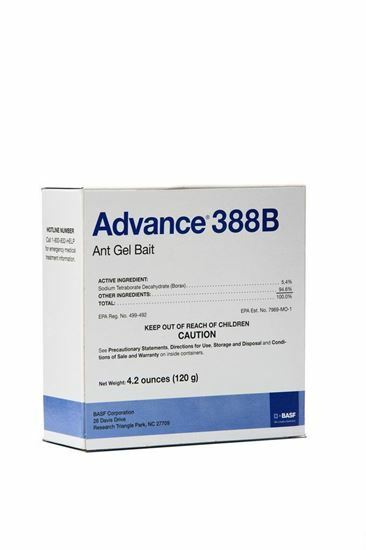 The first ant gel bait that attracts like a liquid. Controls ants, including acrobat, allegheny, Argentine, bigheaded, cornfield, crazy, ghost, harvester,little black, odorous house, pavement, pharaoh, pyramid, whitefooted, thief and honey. For use in and around commercial, industrial and residential buildings including apartments, garages, food storage areas, homes, hospitals and nursing homes, hotels, motels, office buildings,restaurants and other food handling establishments, schools, supermarkets, transportation equipment (buses, boats, ships, trains, planes), utilities and warehouses.